The GW Group is an established forestry and agricultural group of companies with offices located in several countries. The GW group offers a range of tailored direct forestry investment packages located through the groups subsidiary operating companies located in both North and South America. 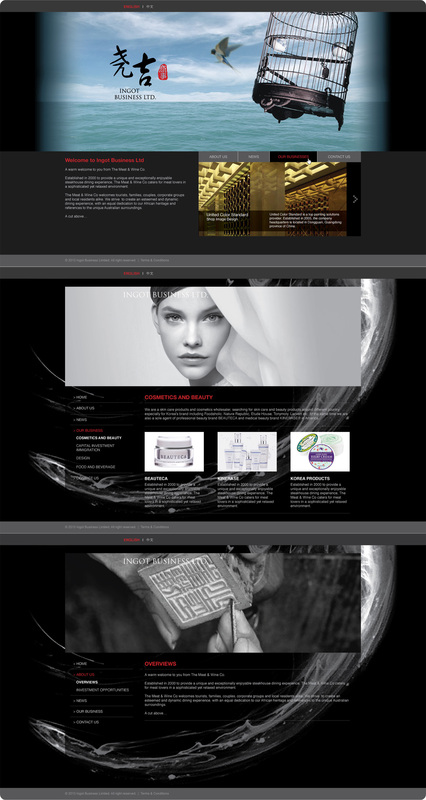 The whole website divided into two different parts, including company profile and their promotion. The company profile mainly introduces the current development trend of forestry, describe how to invest forestry businesses, expect return and risk management. The promotion page using a simple chart to explain the return period and sign up for free €500 voucher. The website design in green color tone to present their business nature and information, harmony visual effect so impressive. Ingot Business Limited was established in 2013, since then we have been expanding and diversifying our business into different sectors including development in skincare and cosmetics, interior design, investment immigration, air purification technology, catering and other overseas development projects, etc. Our business extends across regions covering Hong Kong, Mainland China, Korea and the Philippines. A website design for new company should eye-catching and attractive, Ingot Business Limited accepted our designer's opinion, using a black color as a basic color tone, combine with Chinese structure and western design style. Strongly color contrast, spacing, high quality images, stroke, precise layout and details all represent Ingot Business Limited high-end Corporate Identity. It is impressive. Established in 1993, Ofuka International (HK) Company Limited has been serving the automotive industry for over 20 years. With premium service quality and exceptional experience, They provides high-quality and reliable cars directly from Japan’s vast car auction market. Finding a reliable and competitively priced supplier of new and used vehicles has always been a great challenge. Ofuka International (HK) Company Limited caters exclusively to these demands and clients list to proves their success in this ever-changing industry. With exceptional industry knowledge and highly efficient processing, they will always meet clients expectations in cars delivered as soon as possible, ensuring a safe and trouble-free transition around the world. 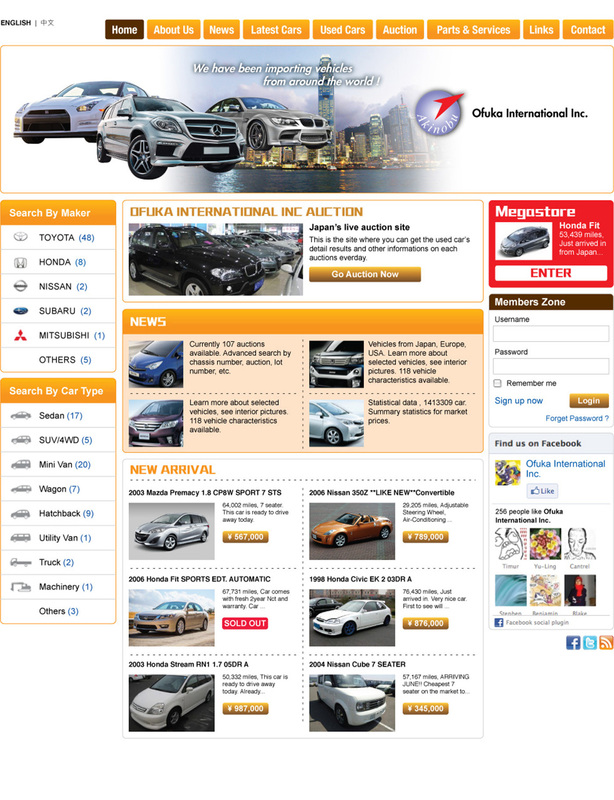 The website design a pre-opening bidding research system to delivering vehicle directly, Ofuka International (HK) Company Limited offers utmost customer satisfaction every step of the way. We designed different landscape to represent all market trends updated on automotive industry, such as Japan, Macao, Hong Kong, Singapore, London etc. Always the first to know about new opportunities and discounted offers as soon as it’s available. North Point Alliance Church are affiliated with "The Christian & Missionary Alliance Union Hong Kong", this association is member of "The Alliance World Fellowship". The members distribute in six continents and fifty-four countries. The online courseware to provide systematic course for believers, learn the Bible, theology and ministry materials, in order to achieve "For the perfecting of the saints, for the work of the ministry, for the edifying of the body of Christ". We are using an age of the New Testament style to design the courseware interface, the integration of ancient and modern elements, the contents with related pictures to enhance student's learning interest. The Project Management institute of Hong Kong (PMIHK) was established in 1997 as a local chapter of The Project Management Institute (PMI), the world’s leading not-for-profit project management professional association, headquartered in the United States. In 1990, PMI had started to promote its PM framework internationally and PMI Hong Kong was formed by local volunteers as one of the first few chapters in Asia. With continuous hard work of the council members and enthusiastic volunteers, PMIHK continued to expand in membership, programs and activities with tremendous momentum. A strong foundation was laid for PMIHK to grow with quantum leap in the following ten years, achieving what has truly been a decade of successes from 1997 to 2007. In first two years alone, the number of members had grown over ten folds to more than 100. By third quarter of 2007, the number of PMP rocketed to over 2000 membership. The PMI Hong Kong Chapter will provide a forum for Project Managers to promote the principles of the Project Management Institute through networking with other project managers, sharing project experiences, providing and receiving training, and supporting Project Management Professionals in their certification efforts. The purpose to get out of old style with fresh imaging. It has been a consistent design guideline to PMI Global website. Add new columns and also to consider the readers easy to browsing. Founded in 1993, COMET Group includes production, sales, R&D and has been engaged in such business area as office equipment, supplies, high-tech electronic products, business machine. Under this group, there are five product divisions of paper shredders, cash registers, biometric product, small office equipment, and toner, the subsidiary and branch offices all over China. As the leader of paper shredder industry, COMET group not only plays a big role as the major export base of paper shredder and attendance machine in China, but also he is the most powerful toner manufacturer in China. His products have been marketing at home and abroad, throughout Europe and the United States, Japan, Korea, Indonesia, more than 50 countries and regions. 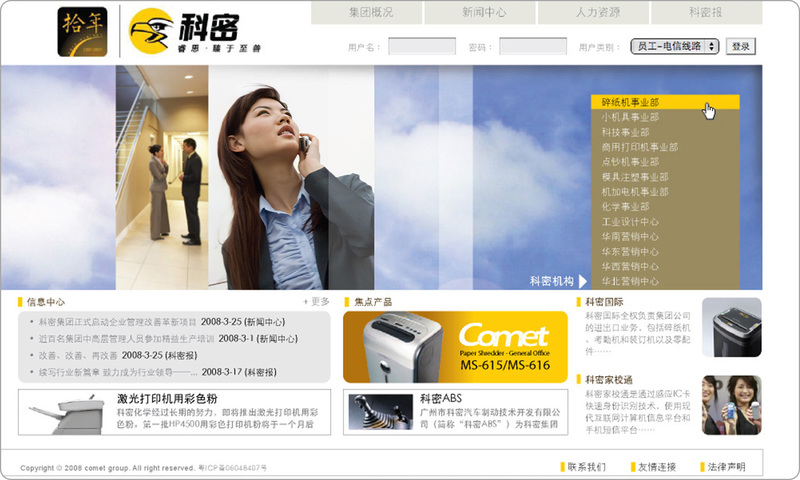 COMET website mainly to show different kinds of product line, of originally a number of different styles of website, design and integration as consistence style, from six product lines separate and reorganization to thirteen new organization, make visitors more easily and convenient to understanding their products, deepen awareness and impressions of COMET. Audience for exist customers and potential clients, let people know related COMET products or service information, and have interest to cooperation with them. MobiWeb is a website designed especially for all CTM Mobile Customers. You can enjoy many services through this website when you are surfing on the Net. It is included Call Forwarding Service, Change Personal Info, Mobile Broadband, WeWAP, SMS, Wait'n Smile, Financial Information Service etc. Website main tone in sky blue colors, outstanding website fresh images. Using template programming, to consistence overall layout style, impacting visual, let people have a deep impression in first time. 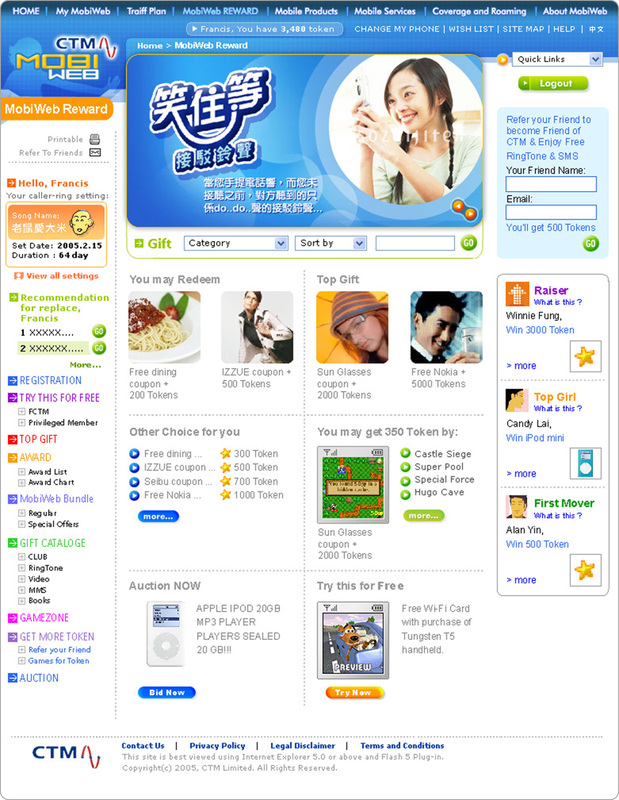 Homepage designed in graphical technique, display the latest promotional news and products update, Chinese and English versions choice. Because of visitor retention time is the longest on this layer, we try to insert a tone down and kindly picture, in order to reduce the visitor eyestrain. The users browsing objective is to know about product news and other service information, so that the overall website design style is clear, concise and beautiful, color in contrast with pure elegant style. 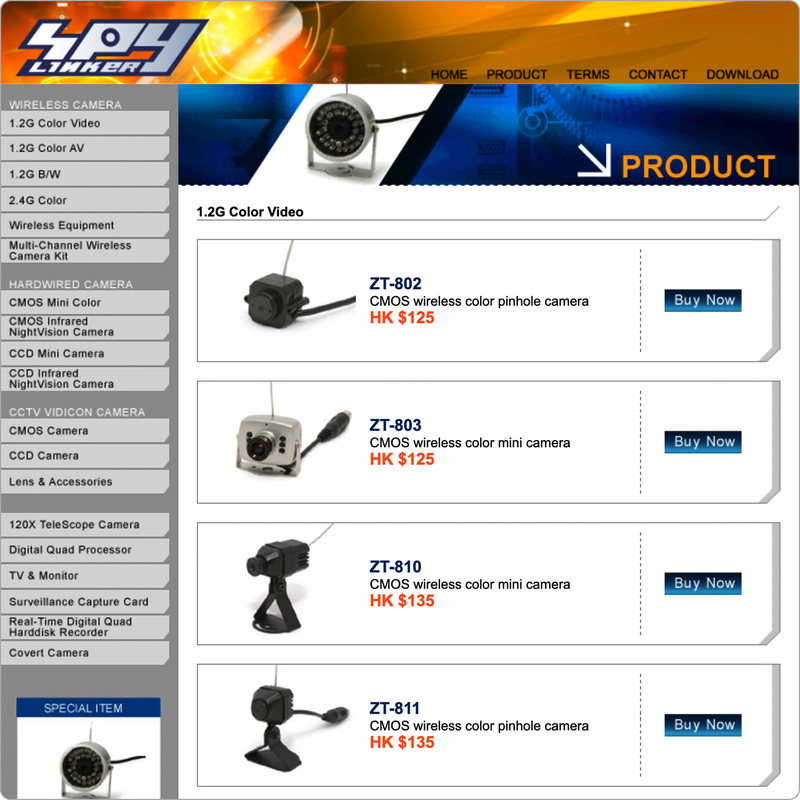 SPYLINKER is a online shop specializing in manufacturing and exporting of CCTV cameras. With many years experience in security products, SPYLINKER has been the market leader today. They are now supplying high quality products to numerous well-known corporations in domestic and overseas, with the most advanced technology in worldwide, the products are applied in the world of traffic, banks and other high-grade establishments. SPYLINKER provide a wide range of safety and security products such as IR water-proof camera, color dome camera, day/night wide dynamic camera, high resolution and hi-sensitive high-end cameras, DVR, monitor and much more to fit into any security needs for customers. The structure of the website clearly and concise, let users in the fastest way find the products information. 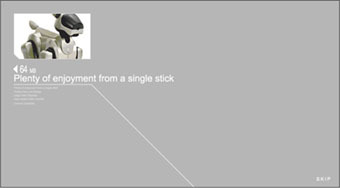 Therefore, we design the function of not over than three linking layer. Products information is the biggest column of the web, this column display products and services information, to convenience of customers browsing. And according they need to decide the detail information with images and copy. Linkpro Design Ltd delivers distinctive and memorable design for client to successfully achieve company goal, enchant their brand image and interact more profitably with their customers. To keep their design skills sharp we foster our own special spirit of creativity, thought and enquiry. It is this culture that they believe in allow to create better design to add value to client needs. Website mainly to show different kinds of service, make visitors more easily and convenient to understanding their services, deepen awareness and impressions of Linkpro Design. Website designed with the high-tech images and trendy style, audience for exist clients and potential clients, let people know their new service information. Hong Kong Island has only a handful of private, non-profit Member Clubs with extensive recreational facilities for families. 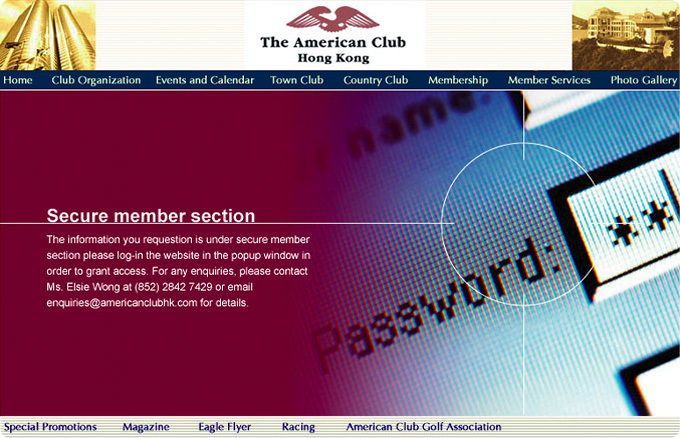 The American Club is the only Member-owned Club in Hong Kong that owns both Central town and country facilities. In addition to the clubhouse facilities, the Club has a race box at Happy Valley racecourse and over 80 reciprocal clubs agreements worldwide. Website designed in deep red color, outstanding website images, impacting visual let people have a deepen impression first time. 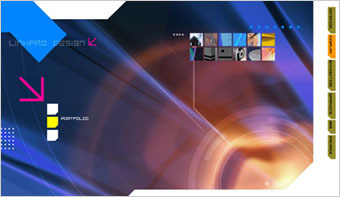 Homepage designed in graphical technique, display the latest promotional news and service update. The visitors browsing purpose to know about promotion news and other service information, so that the overall website design style is clearly, concise and beautiful, visual image mainly in soften color. Dah Bang was found in Shanghai, PRC in 30's decades, migrated to Hong Kong in 40's decades, they grow together with printing industry in the past seventy years. Their products include printing inks, dampening solution, zinc plate, rubber cloth, coating and adhesive materials, cleaning supplies, miscellaneous, printing parts and testing equipment etc. In the new century, printing technology is developing rapidly. 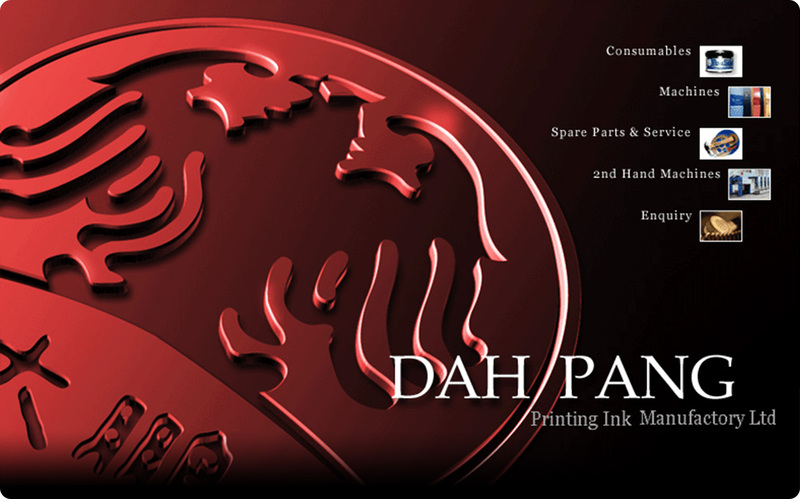 Dah Bang will try the best and keep looking forward, to upgrade products quality and keep excellent price. The technical support and customer service department to provide customers with the latest product information, testing and after-sales service. The website to show different kinds of products, audience for exist customers and potential clients, let people know Dah Bang products or related services, and have interest to cooperation with the company. Through Sony memory Stick to experience rich life, regardless of any occasion or holidays, all has the suitable Memory Stick is available. With high storage Memory Stick, you can storage more movies, photos, games and pleasure, in pair with right devices to enjoy unlimited entertainment in shortly. Products page combined in Sony official website, and mainly introduces the Sony Memory Stick in the various purposes and functions, webpage with high-tech graphic design, color tone cater to trendy young people, simply flash animation to display the products purposes and functions.